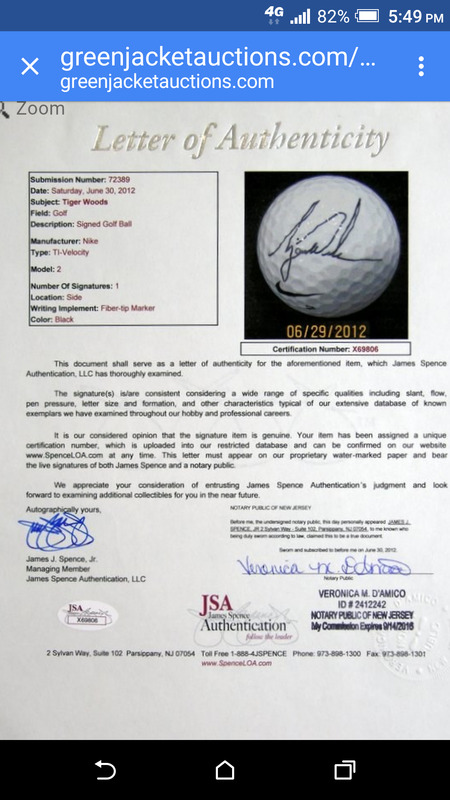 I have had several recent dealings with PSA or Professional Sports Authenticating and JSA or James Spence Authenticating. I can NO longer recommend using them for your authenticating services. I will never use them again! I have sent them 75 to 100 items over the past few years and they have failed about half of the items I sent them. 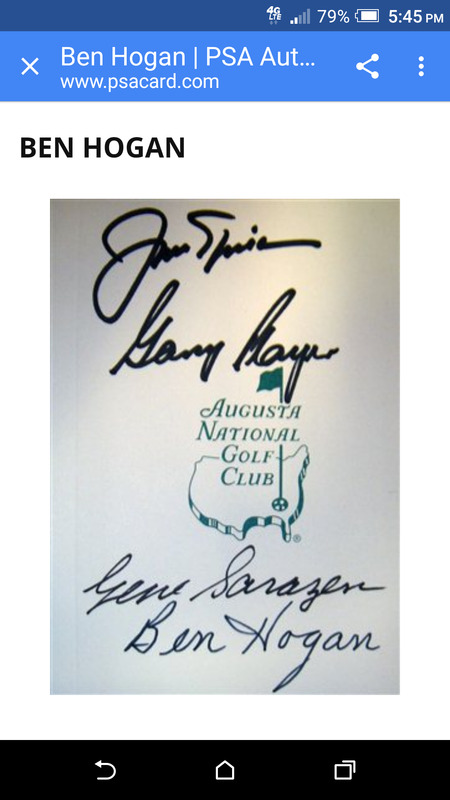 They have failed several items that I have gotten in person at the Masters and several items that I know are 100% authentic. 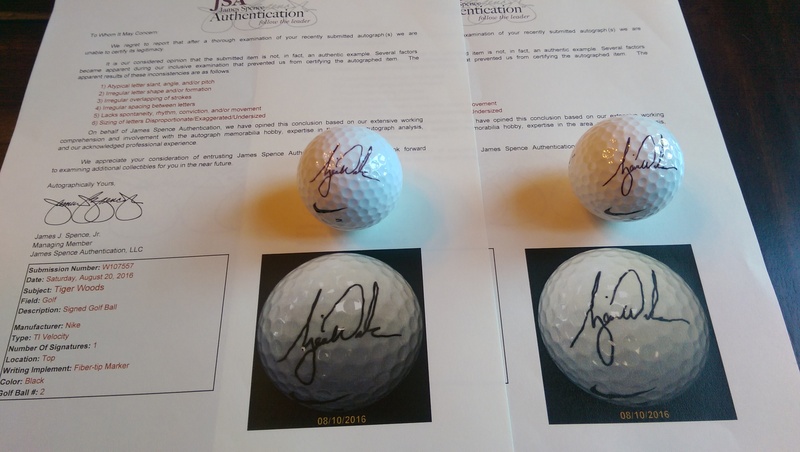 There knowledge of golf autographs is poor at best. They pass lousy fake autographs and fail authentic autographs. When using any of these services please remember all you are paying for is an opinion.......an educated guess!! And, I think they do a lot of GUESSING. Below are several examples of PSA and JSA items that they have failed which are clearly authentic and several items they have passed which are not authentic. These companies are very inconsistent. 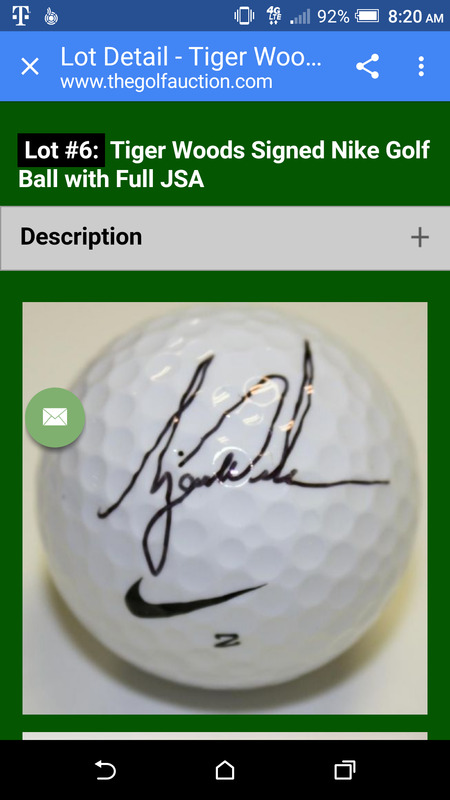 Someone could send in a signed Tiger Woods golf ball and they might pass it. Is it because of the autograph or is because they know the dealer, or the auction house, and they do a lot of business with them? I don't know, but I can say they are clearly not consistent. 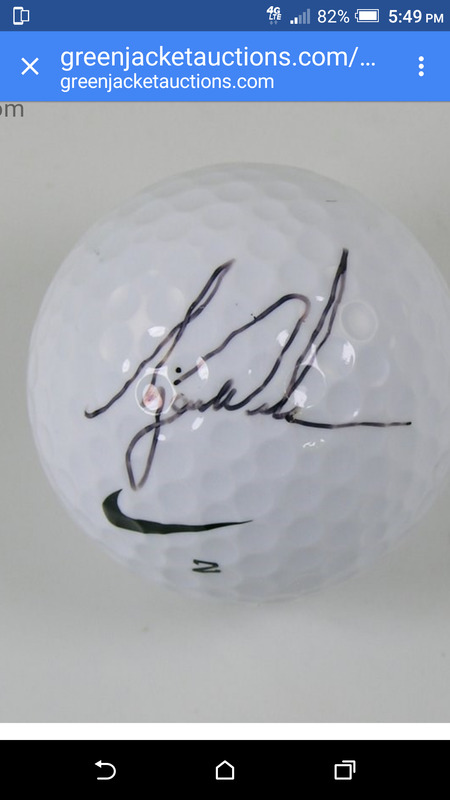 I recently sent in 2 Tiger Woods signed golf balls which were signed for a Nike Rep in 2003 and they failed them. 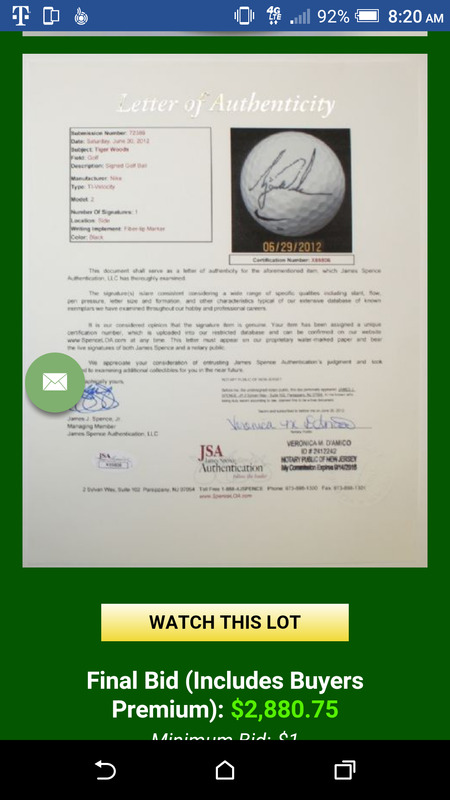 But someone else (an Auction House} sent in the same Nike Rep 2003 golf ball from the exact same batch of signed balls and they passed it and sells for $3000.00. 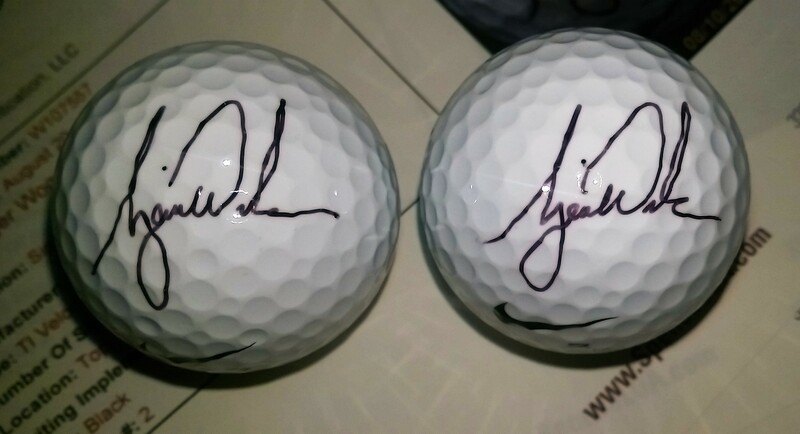 These 2 Tiger Woods signed golf balls were signed for a Nike rep in 2003 and JSA FAILED THEM. How could they fail mine and pass others from the exact same source. I feel there are a lot of external forces that influence the final decision. Personal or business relationships with the company or the authenticators can factor in their decision to pass or fail an item. 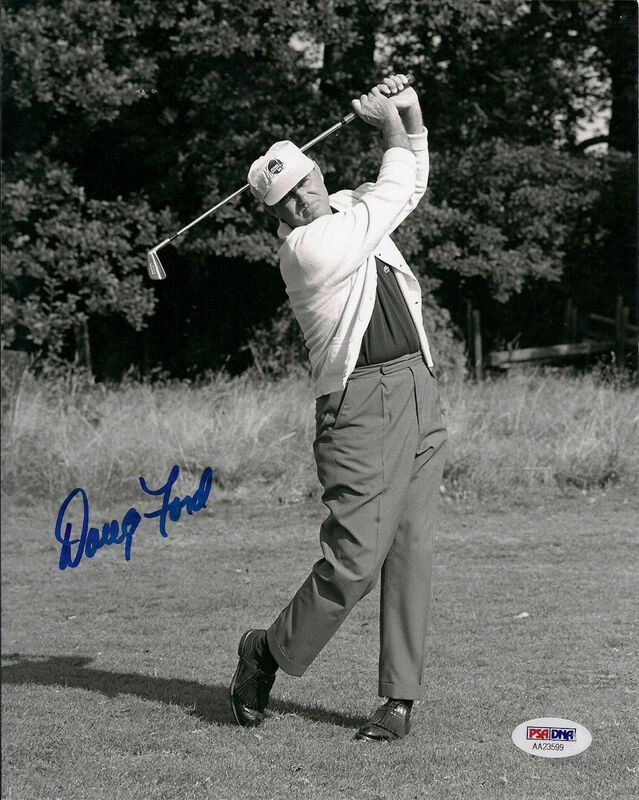 These PSA certified Doug Ford signed photographs are all clearly signed by his SON!! 100% Not Authentic! 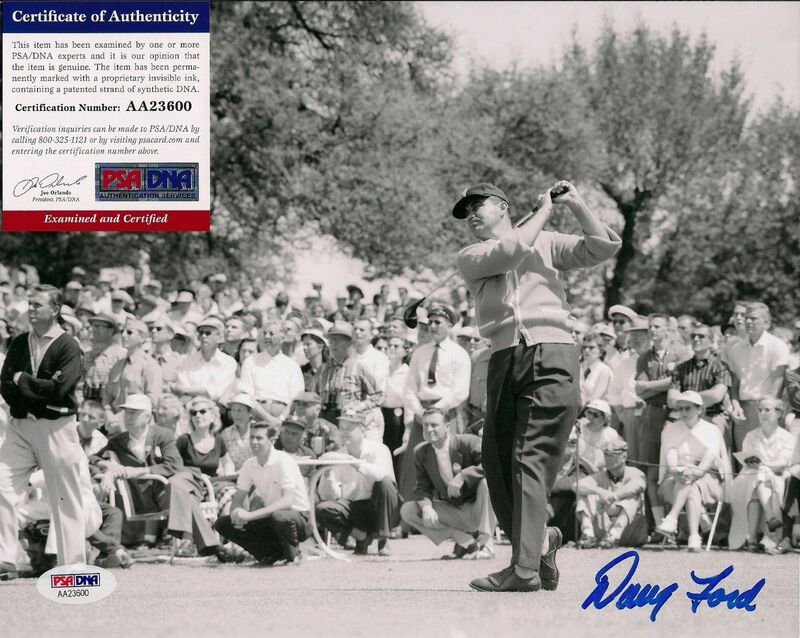 The Top photograph is my Ben Hogan signed scorecard that PSA failed. 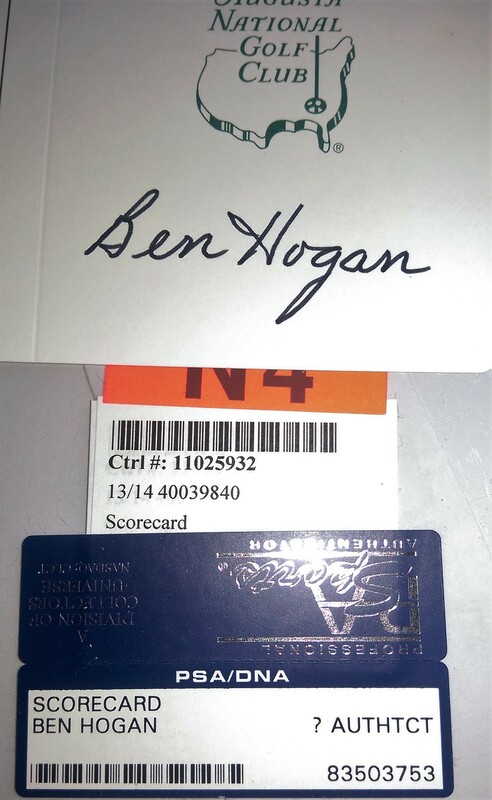 The bottom photograph is a screenshot of PSADNA's website which shows an example of authentic Hogan autograph. I clearly feel both autographs are very similar yet my Hogan failed and their autograph is authentic. Another PSA error! 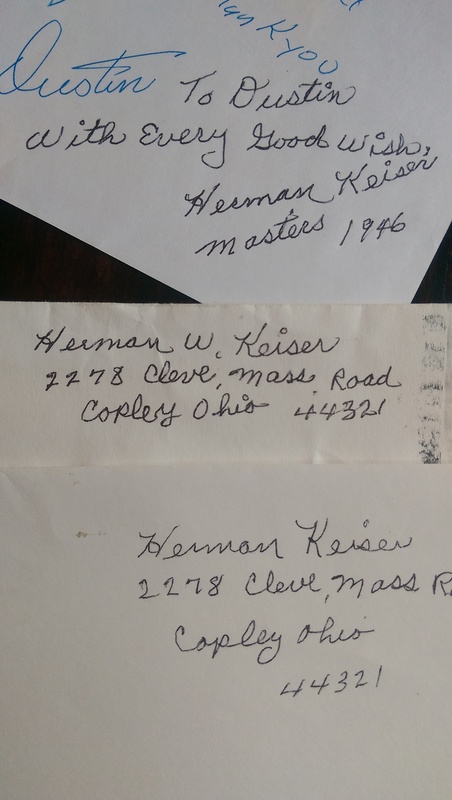 I met Herman Keiser several times at the masters and even got to know his daughter. 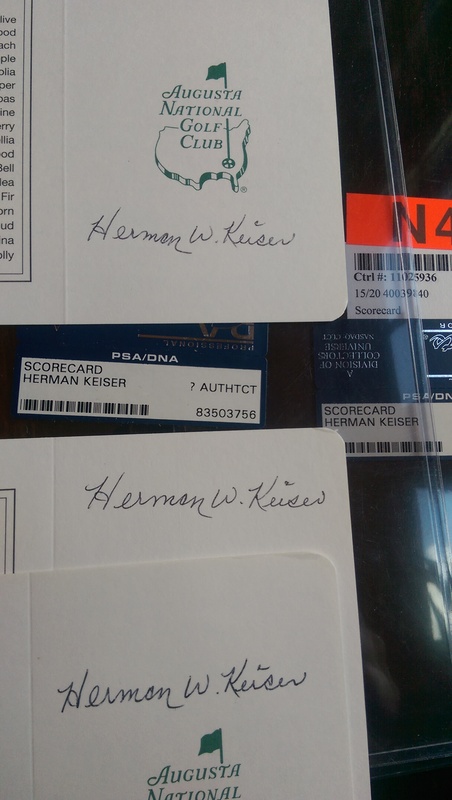 I wrote him and got several autographs of his in person yet PSA failed all my Herman Keiser signed Augusta National Scorecards. These scorecards are clearly authentic. Another Mistake! 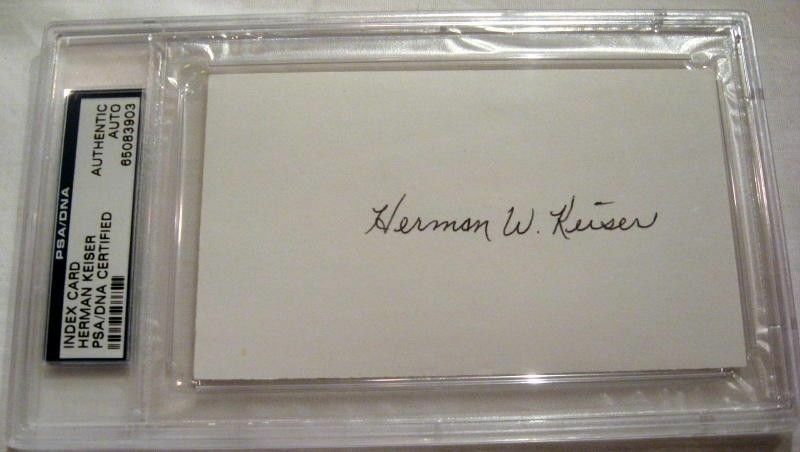 Yet PSA passes this almost exact same Herman Keiser autograph! Crazy Be very careful when using PSA. They will keep your money and they won't give you a reason why they failed your autographs.